Rely on the wide range of experience and talent at All In Consulting. We have three offices, in Los Angeles, Shanghai, and Kyoto. We have 12 associates in 3 countries and employ more than 40 consultants across 13 Asian countries. Have us put our knowledge to work for you. Mr. Chao has lived and worked in Japan, China, and Singapore for over 15 years. While in Japan, he was president of Kingston Technology KK and reported directly to Masayoshi Son, the CEO of Softbank. In addition, Mr. Chao held various management roles at Merrill Lynch in Hong Kong, Philips Electronics in China and Singapore, and Kingston Technology in China. Mr. Chao is a graduate of Columbia University (BSEE), the University of Pennsylvania (MSEE), and the UCLA Anderson School of Management (MBA), and speaks Mandarin and Japanese. His hobbies include fishing, basketball, golf, and tennis. 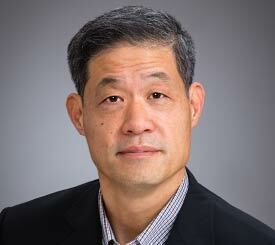 Mr. Tu is the founder of Kingston Technology, the world's largest independent supplier of memory chips. In 1997, Mr. Tu sold his company to Softbank for $1.2 Billion. Three years later, he bought Kingston back for less than half the original purchasing price. In 2008 Forbes Magazine ranked John Tu as the #91 richest American with a net worth of over USD $4 billion. Mr. Tu supports All In Consulting in two roles, 1) actively participating in consulting projects with his Asian experience and contacts, and 2) committing his own capital to make investments with ALL IN to support start-up and mid-size companies. Since 2000, Mr. Tu and All In Consulting have invested in over 25 companies, totaling more than USD $200 million. Yupin Wang is one of the United States' foremost consultants in customer satisfaction and customer service. As Executive Director, he established IBM's Customer Satisfaction Management System, a business process which strives for total quality in marketing, sales, and services. His achievements contributed to win one of IBM's Malcolm Baldrige Awards. His management background also included service with Xerox Corporation. An expert in business processes, marketing strategy, market research, and marketing information systems, Mr. Wang engaged with leading corporations and government agencies in applying state-of-the-art techniques to enhance their competitive posture. His clients included IBM, HP, Intersearch Corporation, and Kingston. He is also the author of the book "Manchurian American - A Memoir" which is an autobiographical account of Wang's life story from his birth in Northeast China, to seeking refuge in Taiwan from Communist China, to immigrating to the US and finding success. The book is truly a tale of rags to riches and the American Dream. Ms. Fukuyama heads our Japanese office and works with American clients to develop the Japanese markets as well as assisting Japanese companies to enter the Chinese markets. She has worked in both the private and government sectors in Japan, and her specializations include medical equipment, education, and information technology. She has a degree from Doshisha University (BA) and UCLA (MA-Linguistics) and speaks English, Japanese, and Korean fluently. Dr. Shiu is instrumental in our due diligence process. He evaluates all technical products but particularly specializes in the areas of fiber optics, digital signal processing, solar energy technology, and Voice over Internet Protocol. Dr. Shiu received his Ph.D. in Electrical Engineering from Rutgers University and has worked at TRW Defense Systems for over 25 years where he served as Chief Technical Engineer. He has been with All In Consulting for eight years and enjoys traveling, mountain climbing, and ping pong. Mr. Zhang heads up our Shanghai office and specializes in developing market entry strategies for manufacturing, high-tech, and the medical industries. Jianbo is a graduate of Beijing University with a degree in Electrical Engineering. He has been with All In Consulting for three years and speaks English and Chinese fluently.